SSQQ At a Glance gives a quick overview on the many facets of the studio. History of SSQQ covers the events that led to the development of Houston's largest dance studio. SSQQ Philosophies explains why don't we use Contracts, the advantages of Group Lessons, and why Practice Night is so important to our dance program. Group Classes covers the events that explain how we developed our Group Class Dance program. This section is actually something of a meditation on the nature of the Rights of an Individual Versus the rights of the Group. It covers in great detail the incidents that led to our policies and the reasoning behind the policies. Why do we insist everyone switch partners? Why can't people watch classes? Why are children banned from the studio? SSQQ is Houston's largest Social Dance Studio. SSQQ traces its start back to the Disco Days of 1978. Back then, Rick Archer was a one-man show. Today SSQQ now has 50 instructors, 12 Administrative Personnel, and close to 60 Volunteer Instructors. We have grown. SSQQ averages 1,200 students a month. The students vary in age from high school to senior citizen and the average age is around 38. If you are new to SSQQ, then welcome to the most complicated dance studio in the History of Civilization. We have so much going on that even our own staff can't keep track of it all. Let's start with the dance classes since that is how we stay in business. We always have two schedules published: This Month and Next Month. Our courses run on a monthly cycle. Sometime around the start of each month we begin a new set of classes that meet 4 times (once a week) for 2 hours each visit. An 8-hour class cost $50 for men and $40 for ladies. This is a one-time charge and there are no hidden costs. We charge men more because we spend a great deal of extra time teaching them to lead while the ladies more or less bide their time. We have an Information Page that covers all the details about how to register, what to wear, money issues such as credits and refunds, and millions of other details. SSQQ has a well-deserved reputation as a place to meet singles. In fact we can make a strong case that SSQQ is the Romance Capital of Houston, Texas. Did you know the studio averages 25 couples a year that get engaged and/or married? That is quite a statistic if you stop and think about it. In case you need convincing, please read our articles on SSQQ Slow Dance and Romance. An SSQQ tradition that plays a strong role in mixing the birds and the bees is SSQQ Practice Night. SSQQ has 6 rooms. At the end of each night of classes, students from all 6 rooms meet in our largest room for an hour and fifteen minutes of non-stop dancing. Not only does Practice Night help you improve as a dancer quickly, it is a nice opportunity to meet other members of the studio for a fun evening of dancing together. SSQQ has an ultra safe atmosphere and a huge dance floor. It is a marvelous playground for people who like to dance. About half the studio customers register by walking in the night of their first class and paying at the door. This process takes about ten minutes. 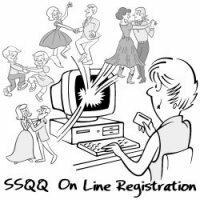 If you hate to wait, another popular feature at SSQQ is our On-Line Registration system. This feature allows our students to register from the comfort of their desk plus it allows you to skip the line and walk straight to class. Created in 2001, as of 2005 we have never had an instance of credit card theft. Thought you might like to know that. Like with any other technology, there is always the possibility of "user error". For example, we get one or two cases a month where someone is "double charged" for a class. Sometimes people get impatient for the Internet to respond and accidentally hit the "Back" button on the computer. This can result in being charged twice, but it is a fairly easy problem to correct. That is about the extent of the danger of using our system. The On-Line system allows you to review your entire history of classes taken at SSQQ over the years. All you have to do is click the "History" button at the On-Line Page and take a look. Your History will allow you to take classes over again for half-price down the road. In addition to Practice Night, we have two Saturday night dance parties a month. They usually occur on the 2nd and 4th Saturday of the month, but these dates do vary occasionally. The first party of the month is usually Swing, Ballroom, and Salsa-related. The second party concentrates on Western dancing and West Coast Swing. We always have six to seven Crash Courses right before the parties start from 7-9 pm. These are popular one-night only dance classes that have no follow-ups. Each party has a theme and some are quite popular. 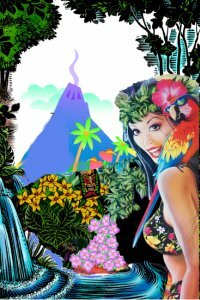 Our favorite parties include the Sleazy Bar Whip Party in April, the amazing Sock Hop in June, the fun Beach Ball in August, plus the Christmas and New Years Eve Party in December. 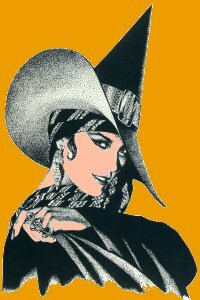 However without a doubt the single biggest event of the year at SSQQ is the Halloween Party in October. Over the past 25 years, the popularity of this party has grown to the point where we now average 300 people. One thing that makes the party special is that everyone goes all out to wear great costumes. We in turn reward our guests by posting their pictures year-round on our web site. No matter what month it is, you will be amazed by the quality of the costumes! Read the history of the SSQQ Halloween Party and take a look at the marvelous costumes! SSQQ is also known for its Cruise Trips. We have taken 5 trips so far. Our first trip to Jamaica and the Cayman Islands in 1988 had 30 aboard. Our second trip was to Vera Cruz (not a misprint, just a misadventure). On this adventure our numbers jumped to 101 in 2001. The more expensive trip in 2002 caused the numbers to drop slightly down to 86. However our summer trip over July 4th to Cozumel in 2003 saw the numbers increase to an amazing 147. Counting the people we had to leave behind for lack of space, we practically could have doubled the number from the year before. Cruise Trips are is of course growing in popularity every year as one of America's favorite forms of recreation. The SSQQ trips are popular because it is fun to travel with a large group and we have the element of dancing during the day and night to add to our fun. It is of course a wonderful ego trip each year during the Captain's Reception to get dressed up and dance the night away to the marvelous Big Band music of the ship's orchestra. The crowd in the auditorium watching us claps enthusiastically as they assume our dancers are actually part of the paid entertainment! You might be surprised to learn the SSQQ Dance Studio Web Site (www.ssqq.com) is one of the most-visited "Dance Studio" web sites in the country. Our vast array of articles on dancing have for years attracted visitors from many places in addition to Houston. Did you know that in February 2006, Google placed "SSQQ.com" as the 5th most popular dance studio web site on the Internet out of a Million Listings. We have achieved this lofty listing despite the fact that we have never paid a dime to improve our spot. You don't believe it? Go to Google and look for yourself!! Type "dance studio" & click. Look for SSQQ on Page One. 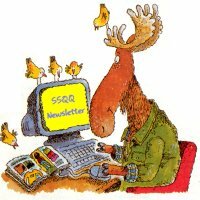 There is no quicker way to instantly get in touch with the pulse of SSQQ than by reading the infamous SSQQ Newsletter on the SSQQ web site. You will be immediately stunned to find our Newsletters are as long as Time or Newsweek! Many of the features are contributed by SSQQ students who enjoy passing on their discoveries and anecdotes to their friends at the studio. The topics can pretty juicy at times. 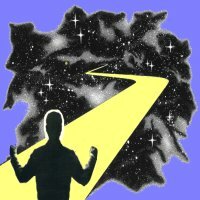 The SSQQ Newsletter contains everything from stories about dancing to the latest engagements to jokes to logic puzzles to Venus and Mars. And be sure NEVER to miss the most popular section of each Newsletter, the infamous "Complaint" section. 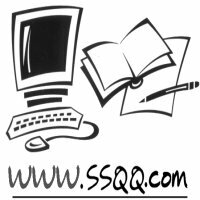 Another big part of the SSQQ Web Site is our Stories and Write-Ups section. 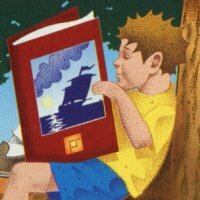 You will be surprised when you discover there are enough stories and articles to equal the length of a good-sized book. If you wonder how long it would take to read all those stories, first take a guess how long it took me to write them all!! The articles include Advice to Men, Secrets of Following, History of Whip, Swing, and Western, Speed of Music, Where the Creatures Meet, and Slow Dance and Romance. The largest section is Adventures of a Dance Teacher with over 50 stories which cover various adventures and misadventures from Rick Archer's career as a dance instructor. The SSQQ Web Site also contains an excellent Joke Page. Our Joke Page has 5 sections. In our Joke Hall of Fame we publish the jokes sent in by our Newsletter readers over the past 8 years. We now have somewhere around 900 jokes!! A very popular area is known as the Joke Picture Page. If you believe a picture is worth a thousand words, then you are bound to laugh at these absurd photographs and cartoon. A spin-off of our Joke Picture Page is Fun Stuff - a series of pictures or cartoons that tell a story. Rounding out our list is our Favorite Puns and the Best New Jokes of the Month. Our Joke Page is so well done, it is one of the most visited areas on our entire web site. Last but not least is the "Archives" section of the SSQQ Website. Here you will find all sorts of interesting stories that have little relationship to the studio, but are curious enough that we added them to the Web Site anyway. 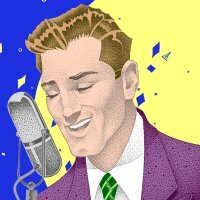 Out of the 30 or so articles, my favorites include Larry the Moron, the ridiculous ShAggie Jitterbug Saga (too stupid to believe), Internet Lies, Bizarre Death Stories, and Houston Traffic, a satirical look at Houston's traffic woes that was written nearly ten years ago yet seems as current as ever, and an article on Responsibility. While you are checking out the different stories, you might notice a section on Logic Puzzles. Once a month we publish a puzzle for our Newsletter readers to exercise their mind a little. This area also contains the Einstein Puzzle and the Christmas Carol Picture Puzzle. As you have undoubtedly gathered simply from reading this "SSQQ At a Glance" article, SSQQ is indeed a very complex dance studio. We have all sorts of weird ways, mishaps, traditions and folklore that most people are just barely aware of. We also have lots of rules and ways of doing things (such as switching partners) that take getting used to. In order to catch you up on our first 25 years of business, there are three more articles (SSQQ History, SSQQ Philosophy, Group Classes) that should go a long way towards clearing up some of the mysteries and legends about this intriguing place. These articles should give you a firm idea of what our studio is all about. Group Classes covers the events that explain how we developed our Group Class Dance program. This section is actually something of a meditation on the nature of the Rights of an Individual Versus the rights of the Group. It covers in great detail the incidents that led to our policies and the reasoning behind the policies. Why do we insist everyone switch partners? Why can't people watch classes? Why are children banned from the studio?